WINTER SHARE Signup for the Dec-May season HERE! 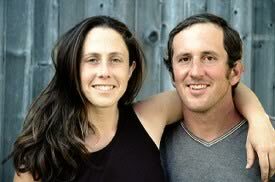 Email us at farmer@gardenofevefarm.com with any questions or issues with signing up. 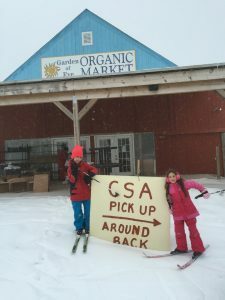 WHAT IS THE WINTER CSA SHARE? NEW THIS YEAR: CUSTOMIZE YOUR BOX! Customized boxes will allow you to select preferences at sign-up and then customize each pick up based on our harvest. This will help you actually use everything in the box because you’ll love everything you are getting! On a special diet and can’t eat potatoes? Not a problem, just switch them out for a different item you prefer. Want eggs some months but not others? Not a problem, just switch them out. Vacation planned? Need to change your dropsite? No problem. 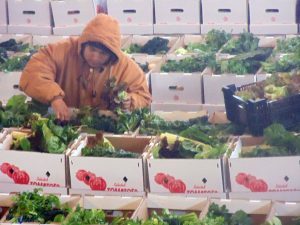 You can easily put a “hold” on your box and schedule two boxes on a different pick up date so no more missing out on those veggies you paid for. 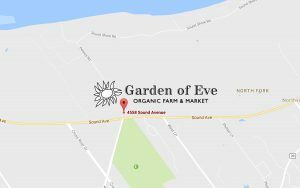 “Full Diet” WINTER SHARE includes produce and eggs grown at Garden of Eve. $385 ($55/pick up/7 pick ups). 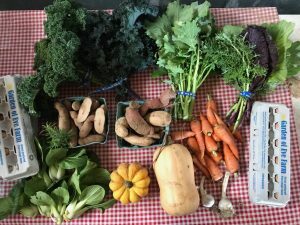 FALL (Dec-Jan) includes our own fresh organic field-grown greens such as kale, collards, Swiss chard, and Brussels sprouts, as well as stored items such as beets, carrots, potatoes, sweet potatoes, cabbage, celeriac, daikon, onions, garlic, and winter squash. 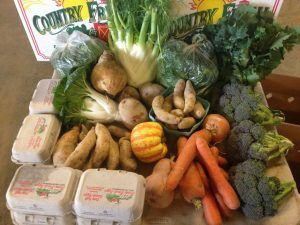 WINTER (Feb-March) may include mainly stored items such as beets, carrots, potatoes, sweet potatoes, rutabagas, celeriac, and garlic, and butternut winter squash. SPRING (April-May) may include our own fresh greenhouse and field grown delicacies such as mesclun lettuce and cooking greens, such as baby kale, mizuna, mustards, bok choi, Swiss chard, etc. EGG Shares: Available as a stand-alone item without the vegetable winter share. 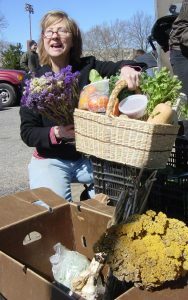 Receive one dozen eggs each pick up, for each of 7 pick ups, for $45 (i.e. $6.50/dozen for 7 pickups). You may buy as many additional egg shares as you want (i.e. 3 egg shares, get 3 dozen per month). PLANT Shares: A one-time pick up on May 4 (May 5 for Sunday sites). New! select among any of the 50 varieties of certified organic potted herb and vegetable plants we grow for your windowsill or your garden. See all the choices and more info at www.gardenofevefarm.com/plants.htm. Plant Shares include 4 plants for $16 ($4 each includes sales tax), order any multiple to get as many plants as you need for spring! Cheese & Dairy share includes NYS produced organic yogurt, and Long-Island, NYS and VT farmstead cheeses of all kinds, usually 3 different items per month. Cheese & Dairy share is $140 ($20/pick up x 7). LI SITES (not at the farm: Bayport, Mt Sinai, Stonybrook TBD): THURS Nov 29, Dec 13, 2018, Jan 10, 2019, Feb 7, Mar 7, April 11, May 2. None of these are holiday weekends, no volunteer time is required & friends can pick up for you. Check website for exact pick up times for each location. Bay Ridge (Saturday, 11am-12:30pm): Our Saviour’s Lutheran Church (corner of 80th Street and 4th Ave) 414 80th Street. Forest Hills at the Forest Hills Farmers Market SUNDAYS, 9 am -1 pm, on the South Side of Queens Boulevard x 70th St, in front of the Forest Hills Jewish Center. We send out reminders before each date – let us know if you know of someone who has a winter share who’s not getting our emails.